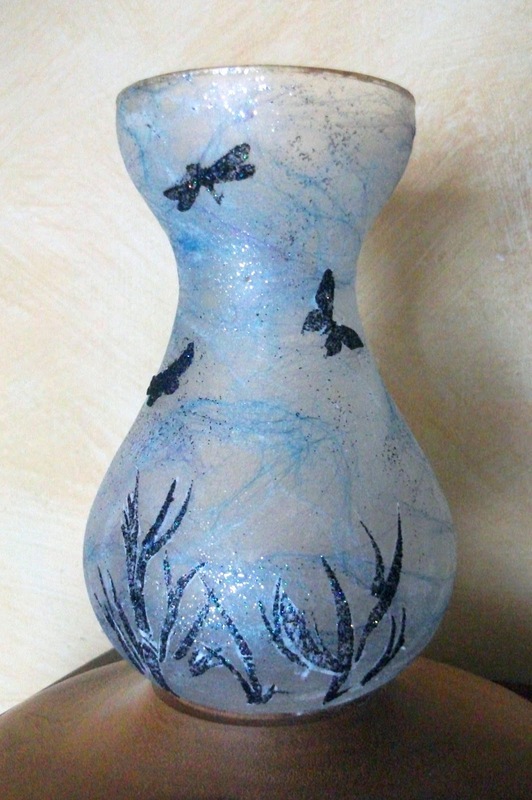 Christine's Craftyart: Imagination Crafts Sparkle Medium on a Vase. Imagination Crafts Sparkle Medium on a Vase. Iv'e had great fun decorating all sorts of household items with the lovely Sparkle Medium from Imagination Crafts. Sparkle Medium from Imagination Crafts is a thick glittery medium that you can use with or without stencils. 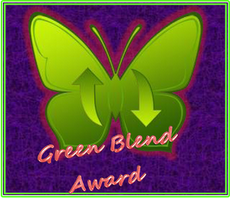 It comes in different colours and you can mix your own too. To make this vase I coloured the vase using my unique method (the topic of my Workshop in Exeter on 25th May). Check details on this blog below this post. I used an Imagination Crafts stencil and Black Stars Sparkle Paste and stencilled onto some tissue paper, waited for it to dry then cut out some of the butterflies and grasses. I then applied the cut out shapes to the coloured vase with PVA glue which dries clear. To finish, the vase was then varnished with Acrylic varnish which dries waterproof allowing you to wipe over the vase to keep it clean (do not immerse in water). I love the Sparkle Medium as it has so many uses. Iv'e also made a Lampshade using the same stencil and same colour of Sparkle paste too. 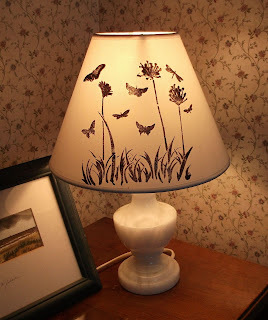 Stick the stencil to the lampshade using masking tape. Make sure it is stuck down well otherwise the paste will bleed under the stencil. Spread the Sparkle paste over the top using a spatula or palette knife. Lift the stencil off carefully and wait to dry. That's all there is to it. Lovely effects when you turn on the light. WOW these are stunning!!!! Love the vase it is my favourite. Gorgeous Christine, I love the lampshade, I'm crazy for that I believe its called hedgerow, looooove it, and your vase is stunning, thanks for sharing..